Sure, markets generally work well. But for some transactions — like school admissions and organ transplants — money alone can’t solve the problem. That’s when you need a market-design wizard like Al Roth. Al ROTH: Okay, I’m Al Roth and I’m a professor of economics at Stanford. For many years, Roth had taught economics at Harvard. But he and his wife, who’s a human-factors engineer, had relocated. ROTH: We had just moved into our new apartment. We had moved to Stanford in September of 2012. Shortly thereafter, on October 15th, something memorable happened. ROTH: And my wife woke up around three in the morning and said, “The phone’s ringing.” And I woke up and it wasn’t ringing anymore. We only had one phone at that point and it was in her office, which was downstairs. So I said, “It’s not ringing,” and went back to sleep. And she went down and got the phone and it started ringing again. It turns out it’s a good thing they call you back, they don’t go down their list. And it was the Nobel Committee. Roth, half-asleep, was informed that he, along with Lloyd Shapley, had won the Bank of Sweden Prize in Economic Sciences in Memory of Alfred Nobel — also known as the Nobel Prize in Economics. DUBNER: To persuade you that this is for real. DUBNER: Either that, or a very elaborate prank. ROTH: Exactly. But they call you up and say, “So in half an hour this is going to happen. Get ready.” And, you know, I took a shower and got dressed, which was a good thing, because there wasn’t the opportunity to do that again all day. DUBNER: And what was the rest of the day like then? ROTH: Well, so at five minutes to, someone calls you back and again, they’re still I guess concerned that you shouldn’t appear confused on the phone. So what she said was, “Point your browser to the Nobel site and you will see your name being announced and then we will come on the line and have a press conference by telephone.” So by the time that happened, I was ready and then the Stanford press office, fortunately descended on our house at 4:00 am and started fielding calls from journalists, and you know they’d say, “Professor Roth is ready now. Are you ready?” And I’d get the phone and I’d get, you know, five questions from someone and I would speak to many, many people. And apparently I mostly answered them very, very seriously, but I told a joke or two that I hadn’t intended to tell. But people would say to me, “Oh, I heard you on NPR. You said something a little odd.” But—and then there was a press conference, and then at 11:00 I had a class. So people seemed a little surprised but that’s how we ended the press conference. That this was a surprise and it was a Monday and I teach on Mondays. DUBNER: Word had travelled to your students by then, I assume? ROTH: It had. There was Champagne in the classroom. So what kind of work did Al Roth do to land a Nobel Prize in Economics? Well, it’s not the kind of work that typically wins a Nobel. He has helped people who need a kidney transplant find a donor. He’s helped new doctors find their first jobs. He’s helped high-school students in New York City find the right high school – even though Roth himself, who grew up in New York City, dropped out of high school. ROTH: I was, you know, a poor ungrateful student who didn’t appreciate what my teachers were trying to do for me. You should tell all your listeners they should complete high school. I recently visited Palo Alto, California, home to Stanford University – and a few others things — to talk with Al Roth. He was, as you’ve heard, a high-school dropout. But don’t worry, he did go on to college – many, many years of college. Not finishing high school isn’t the only odd thing about Al Roth as a Nobel laureate. Consider this: even though he won the prize in economics, and even though he’s a professor of economics, he is not technically an economist. ROTH: I mean, my degrees are in engineering. And, you know, I wrote a paper once, a manifesto of market design called “The Economist as Engineer,” so I think of myself as something like an engineer. I’d like to be an engineer. “A manifesto of market design” Roth calls it. The Nobel Committee’s citation noted his “theory of stable allocations and the practice of market design.” So what is market design, and why can it win you a Nobel Prize? ROTH: Market design is an ancient human activity. You know, when you look at a distribution of stone tools around the Middle East and Europe, you find that long before the invention of agriculture, stone tools were moving thousands of miles from where they were quarried and made. And that’s a sign that there were markets for stone tools. There were ways to meet and trade things and we don’t really know much about those markets. But the stone tools, which are very durable, are evidence that markets are older than agriculture. But the Stone Age men who traded those stone tools and weapons had to make markets somehow. They had to make them safe. They had to feel confident that they could bring the things that they would trade for those stone tools and not be robbed by guys with stone axes who would take their stuff. And that’s been a big part of market design for a long time is making markets safe. Today we think about fraud and identity theft and securing your credit card. But there was a time when kings thought about securing the roads against highwaymen so you wouldn’t be waylaid on your way to and from the market. So if I were the king of England and I wanted to have markets in England, I had to make sure that the roads were safe to get to the markets. Al Roth has written a book – a really wonderful book, I should say – called Who Gets What — and Why: The New Economics of Matchmaking and Market Design. If market design is, as Roth says, an “ancient human activity,” why does someone like him need to get involved? After all, we’re told that markets generally organize themselves – there are sellers and buyers, supply meeting demand, with price being the glue that holds it all together. In this regard, the invention of money was a big breakthrough. ROTH: Barter is very hard because you need a double coincidence of wants. You need to find someone who has what you want and who wants what you have. DUBNER: Right, you happen to have salt, I happen to have wool, and we each want what the other wants, or we find a third party. ROTH: Right. Well, so finding the third party starts getting you involved in other things. And, of course, money is a great market-design invention for helping you find third parties because you can sell what you have for money and then go look for what you want. ROTH: Matching markets are markets where money, prices don’t do all the work. And some of the markets I’ve studied, we don’t let prices do any of the work. And I like to think of matching markets as markets where you can’t just choose what you want even if you can afford it, you also have to be chosen. So job markets are like that, getting into college is like that. Those things cost money, but money doesn’t decide who gets into Stanford. Stanford doesn’t raise the tuition until supply equals demand and just enough freshmen want to come to fill the seats. Stanford is expensive but it’s cheap enough that a lot of people would like to come to Stanford, and so Stanford has this whole other set of market institutions. Applications and admissions and you can’t just come to Stanford, you have to be admitted. DUBNER: A word that’s always bothered me. DUBNER: You should be good at it by now. ROTH: The first job — the standard first job — for medical graduates became what was called an internship, and is today called a residency. And that’s a job where you work at a hospital and you take care of patients under the supervision of a more experienced attending physician. And it’s a giant part of the professional education of doctors. So it’s very important to doctors where they get their internship and residency. And it’s very important to hospitals because the interns and residents are a very important part of the labor force of a hospital. As Roth tells it, there was an arms race between hospitals for the best future doctors. They began grabbing medical students earlier and earlier – sometimes two years before graduation. ROTH: And when you try hiring people two years in advance, it’s hard to tell who the good doctors will be. It’s also hard for the doctors to tell what kind of jobs they want. So the medical schools intervened. In 1952, they created the National Resident Matching Program. ROTH: They developed a marketplace that has a form that has survived ‘til today, although my colleagues and I have helped modify it since then. And what that form was…you go on interviews and you find out the salary and the working conditions of the various jobs that you might be offered and then, instead of working the phones and maybe getting an offer that says you have to take it — yes or no right now on the phone — what you do is you consider in advance which jobs you would like and you submit a rank order preference. This would be my first choice of the jobs I’ve interviewed at. Here’s my second choice. Here’s my third. And the jobs do the same thing, the hospital residency programs do the same thing. And then a match is made in a centralized clearinghouse. By the 1990s, this system was showing strain. Some people thought the hospitals had too much leverage over the residents. Also: by now, there were a lot more female medical students, some of whom had a significant other who was also a medical student – and such a couple typically wanted to get a residency in the same hospital, or at least the same region. But the matching program couldn’t handle that kind of request. So those candidates might opt out. In 1995, Al Roth was asked to help write an algorithm that could fix these problems. The algorithm worked well and it now matches more than 20,000 applicants each year. DUBNER: It sounds as though this works pretty well according to most people involved, yes? Most people involved in this scenario are pretty happy with how it works, correct? ROTH: Well, labor markets are stressful for everyone. So I think you are overstating how happy people are with the labor market. But I think it works pretty well. DUBNER: I mean in the medical residency matching particularly. Or at least an improvement over what was before? ROTH: It’s a vast improvement. DUBNER: But here’s my question for you really is this, broader labor markets. If we consider the medical residency matching program relatively successful to what preceded it, at least, why is it not used more widely in the labor markets? ROTH: Well, the medical market is an easier one to coordinate than many markets because just about everyone becomes available at the same time when they graduate from medical school and they all start their jobs therefore about the same time in July. So it’s a market that can easily move people all at the same time. Whereas many markets, think about the market for journalists, they might be hired at different moments and jobs might become available and need to be filled and not be able to wait for you to consider many jobs. DUBNER: Yeah, but you and your colleagues are pretty brilliant and you have mathematical backgrounds. I would think you could deal with rolling admissions, is that right? For all the talk about how modern labor markets have so many mismatches in them — so many people doing jobs that they don’t really want to be doing, so many corporations with all these theoretically qualified people out there not being able to find the people to fill them without going through- going to a lot of trouble. I mean, hiring practice has become more and more complicated it seems as one way to address the matching problem. But it seems as though your complicated mathematical foundation might provide, ironically, a simpler way to address that problem. ROTH: So I’m not sure that’s true. Again, one of the special things about residency positions is, although they’re very different at different places, they’re sort of similar to each other. If you’re thinking about should you be a journalist or an airplane pilot or a chef, you are dealing with very different jobs with very different employers. And one of the things that we do in the medical match is we make all the jobs available at the same time that allows you to consider them, to have preferences over them. That’s hard to do if you’re thinking about being a chef or an auto mechanic. DUBNER: Sure. I’m curious to know, what’s a market or scenario that you’ve looked at before that you thought, “Boy, I would love to help fix that one,” but either haven’t had a shot or maybe tried and failed? ROTH: Well, the markets for new lawyers might fall into that category and certainly the most- the fanciest job that top graduates of elite law schools get is a lot like a medical residency. It’s a clerkship with an appellate judge. That market is presently in the kind of situation that the doctor market was around 1940, where jobs are being contracted far before law school graduation. And probably a dozen times in the last 30 years, the lawyers have tried to fix this with things like setting dates before which you shouldn’t hire and things like that, but it turns out it’s hard to make rules that judges have to follow. Judges are a law unto themselves, and they break the rules. They cheat. If you know someone who’s in law school now who wants a clerkship, they’re probably going to get an offer sometime in their second year. You know, so the middle of their second year and a half before they are ready to graduate. DUBNER: And what would it take for you to have the authority to get in there and redo that market? ROTH: Well the question is, is there a desire for judges to coordinate in a way that would control the market? And so far there hasn’t been. DUBNER: So you can win all the Nobel Prizes you want and there’s a limit to your power nonetheless. As complicated as it may seem to match future lawyers or doctors with their employers, consider an even more complicated match: a person who will die unless they can get a kidney transplant. Ruthanne LEISHMAN: You can’t buy a kidney. You can’t pay for somebody’s college education to get a kidney. You can’t buy them a car. It’s illegal in the United States to obtain a kidney through any kind of valuable consideration. LEISHMAN: I’m the program manager for the kidney-paired donation program at the United Network for Organ Sharing. The United Network for Organ Sharing, or UNOS maintains the registry of all the people in the U.S. who need an organ transplant. According to the National Kidney Foundation, out of the roughly 123,000 people awaiting an organ transplant, more than 100,000 of them, roughly 80 percent, need a kidney. LEISHMAN: We don’t have enough supply of kidneys available. And so the list is ever-growing, but the number of kidneys available for transplant is pretty stagnant. It’s estimated that 12 people die each day in the U.S. while waiting for a life-saving kidney transplant. And that’s because, as Leishman says, the demand for kidneys keep rising — but the supply hasn’t risen to meet it. Why is that? Consider where most donated organs come from. They primarily come from cadavers – from people who have died but who’ve died under just the right circumstances – from a brain trauma, for instance — to allow their still-functioning organs to be harvested for transplant. LEISHMAN: Only about 1% of the population who die are actually able to donate their organs. ROTH: If you’re healthy enough, you can remain healthy with just one. And that means if someone you love is dying of kidney disease, you can give him a kidney and save his life. DUBNER: If you happen to be a match. ROTH: If you happen to be a match. And that’s where kidney exchange comes in. Ah, kidney exchange. Because remember, unlike some markets, where price is allowed to let demand meet supply, organ donation is a market that doesn’t allow money. As a society, we’ve decided it isn’t right to reimburse people for donating an organ – although I should say, some economists have argued that we should rethink that. But for now at least, kidney donation is reliant on altruism. Which, judging by the backlog of kidney patients waiting for an organ, isn’t working so well. And that’s why Al Roth got involved. ROTH: People often ask me how I got involved in kidney transplantation and I think the romantic thing that they’re hoping I’ll say is that I knew someone who was ill or that I was ill, but that isn’t the case at all. I entered through the mathematics. LEISHMAN: We have about 600 kidney paired donation transplants a year right now in the United States. In 2000 we had 2. ROTH: My hope is that this book will help you to see markets in new ways. So may I take you to dinner to celebrate the completion of this book? Al Roth – high-school dropout, Nobel laureate, author of the book Who Gets What – and Why – began working on organ donation more than 40 years ago, as it turned out. ROTH: So in 1974, in Volume 1 Number 1 of the Journal of Mathematical Economics, Herb Scarf and Lloyd Shapley, with whom I eventually shared a Nobel Prize, wrote an article about how to trade indivisible goods when you couldn’t use money. DUBNER: And this was a theoretical argument? Entirely, yes? In 1982, Roth took a teaching job at the University of Pittsburgh – which happened to have an excellent medical center with a prominent organ-transplant program. Roth began thinking about kidneys from the perspective of supply and demand. Again, there’s a seemingly huge demand for donated kidneys – but in fact a much, much larger supply of potential kidneys for donation, since healthy people have two, but only need one. So let’s say that your spouse, or sibling, or parent needs a kidney transplant. You could voluntarily undergo surgery to give up one of yours – if, that is, you happen to be a biological match. ROTH: If you aren’t a match, then you’re healthy enough to give someone a kidney but you can’t give the person you love a kidney. So there they are with an indivisible object that we had been calling houses. But now, call it a kidney. And here are these incompatible patient donor pairs and they have an indivisible object and it’s against the law to buy and sell kidneys for transplantation. So all of a sudden this toy model that we’d been playing with that didn’t make a lot of sense for houses because we use money for houses made sense for kidneys. DUBNER: Was there a light bulb moment for you where you saw that the kidney was the, you know, concrete version of what had been discussed in this model or no? ROTH: Again, I’d like to say that there was but there wasn’t. DUBNER: Were you looking for something to plug in to that model? ROTH: I was looking for a teaching tool. I was teaching the model and my students would say, “This is an interesting model, but isn’t it a little silly. We use- here in Pittsburgh, we use money for houses, professor.” And I’d say, “Yes, yes but this is a toy model. You should study it.” But there we were in Pittsburgh and we had all these transplants going on and I said, “Well, supposing it’s kidneys.” So we talked about kidney exchange without my ever thinking it would become a practical thing. I was not seeking to design kidney exchange. But in 1998, I moved to Boston to teach at Harvard and in 2000 the first kidney exchange in the United States was done in New England. That’s an exchange between “incompatible patient-donor pairs” as Al Roth calls them – two couples, let’s say, with the healthy member of each couple agreeing to give a kidney to the needy member of the other couple. The first kidney-paired exchange ever took place in South Korea in 1991; the first U.S. exchange, that Roth mentioned, happened at Rhode Island Hospital, in Providence. ROTH: We can help organize it. We have played all these years with toy models. We know how to organize on a large scale trade among people dealing with indivisible goods when you can’t use money. We know a lot about this. Several other economists began thinking about the problem. DUBNER: And what the preparation is for surgery and so on. ROTH: And how hard it is to do big exchanges compared to little exchanges. So we sent the paper to all the surgeons we could think of and only one answered. It was Frank Delmonico. DUBNER: Ah, that’s a good one to have answered then, as it turns out. ROTH: Absolutely. He was the director of the New England Organ Bank and he came to lunch and he and I have been colleagues on kidney exchange and on other things for more than a decade now. But we helped him build the New England Program for Kidney Exchange. One person that Delmonico hired at the New England Program for Kidney Exchange, or NEPKE, was Ruthanne Leishman, who helped set up their kidney-paired donation program. Remember, the Rhode Island transplant had already happened, in 2000. LEISHMAN: But that was just done manually looking at the blood types of the donors and the candidates. And then in 2004, we started working with Al and using his optimization program. The idea behind using Al Roth’s algorithm was to make it so transplant centers could simply enter the medical and demographic data on potential organ donors and recipients, type in a few keystrokes, and then – voila! – it would produce a match. LEISHMAN: It would really be impossible to do this by hand because of the number of antibodies that we’re talking about and the number of people that we’re talking about and we really need a computer to look at it. Not just to do any kind of matching, but really to optimize the matching. Matching a potential kidney donor is harder than it sounds. Not only does any given person have one of four major blood types but we also each have our own stew of antibodies and antigens. We’re born with a certain amount of inherited antigens; but when our bodies encounter foreign antigens, we develop antibodies that battle them. This can happen during a blood transfusion, for instance. That’s was the case with a Minnesota woman named Julie Parke. Julie PARKE: What really happened was I broke my leg about, I don’t know, five, eight years ago and unbeknownst to me they gave me a blood transfusion during it. And that just changed a bunch of antigens and antibodies, enough so that Ray no longer was going to be a match for me. Ray is Julie’s husband, Ray Book. They’ve been married for 24 years. Ray BOOK: Julie and I went to high school together, didn’t know each other, had one date when we were freshmen at the University of Minnesota. I told her I’d get back to her and at our 20-year class reunion I got back to her. Julie and Ray have one daughter and three grandchildren. Julie has been a Type 1 diabetic since she was 8 years old. PARKE: And it basically, you know, has caused all my medical issues over the years. Julie got her first kidney transplant when she was 35. It came from a deceased donor. PARKE: And it lasted me quite a while, and that was great, like 26-plus years. And then that one for whatever reason was failing. So, all of a sudden I needed another one. Ray’s blood type is O, which means he’s a universal donor. PARKE: We were kind of going down that road thinking he’d be able to donate to me someday. LEISHMAN: She had a lot of antibodies. 94% was her antibody level, which means basically she only matches with about 6% of the population. So if Julie went the route that got her her first donated kidney, it likely would have taken a long time to get another one. Given her particulars, one doctor told her, she could wait five years or more – years which, as Leishman describes, are hard on anyone with kidney failure. LEISHMAN: And then they’re waiting on dialysis and then three days a week, they go into a dialysis unit to have their blood cleared of the toxins that the kidney usually removes, or they’re at home at night doing home peritoneal dialysis, and so that’s a nightly ritual for people. And it makes it difficult to work. It makes people tired. It makes people sicker, so when they do get a transplant they may not be in the best health anymore, so it’s challenging. But Julie had the good fortune to be enrolled in a kidney-exchange program. And her chances were greatly increased because her husband Ray was offering to donate one of his kidneys to someone – anyone – since he wasn’t a match with Julie. This is what’s known as being a “paired donor,” meaning that Ray was offering his kidney under the condition that his wife would receive a kidney donated by someone who was a match with her. BOOK: I wanted to help my wife in any way that I could, so I went out and got tested. All the information went into the computer. We just put it out there into the network and thank god there’s a network like that and the algorithm obviously worked. PARKE: You know, I went on dialysis November 1st. They called me around Christmas time and told me, “Looks like we got something on the schedule here, but you’ve got to heal this wound you’ve got on your foot.” So I spent the month of January in bed. So anyway, that was January and then we had the transplant February 5th. So, you know, it wasn’t- it certainly wasn’t five years or more. ROTH: So what that means is that in the United States, we now have more living donors than we have deceased donors because deceased donors give two kidneys and living donors only give one. So there are more living donors than deceased donors, but more deceased donor transplants than living donor transplants. But the growth possibilities would be in the living donor transplantation because everyone has two kidneys. LEISHMAN: Somebody who comes into the computer program without a recipient. They don’t know anybody who needs a kidney transplant. They just want to donate to somebody and help somebody. Well they come into the program and they match with a recipient whose donor matches with another recipient, whose donor matches with another recipient, and this can go on and on. And so instead of that nondirected donor helping just one person receive a transplant, they can help 2, 3, 5, 10, 30, 60 people receive a transplant as we go down the line in the chain. It was one of these incredibly generous people – a non-directed donor — who wound up giving Julie Parke a new kidney. LEISHMAN: This chain started with a woman named Jodi. Jodi SHEAKLEY-WRIGHT: Hello. My name is Jodi Sheakley-Wright. Jodi Sheakley-Wright is 42 years old. At the time, she was living in Charlotte, North Carolina. She began working with the transplant center at Piedmont Hospital in Atlanta. She went through a long series of physical and psychological tests. SHEAKLEY-WRIGHT: They wanted to know if I had considered all of the factors why I should not donate. First and foremost, I was asked to make a few minor lifestyle changes, or at least I felt like they were minor. But things like they didn’t want me to do any death-defying stunts, like ride motorcycles or jump out of airplanes. I had already jumped out of an airplane so that was okay. But with one kidney, you kind of have to take a little bit more care. So basically, you know, they wanted to make sure that I was sure about donating one of my kidneys, because I really only have one to donate. I need the other one to survive and you know, they really want you to think about things like, are you going to be okay with the decisions that your recipient makes? Meaning that once you give this kidney up, it’s not mine to direct how it’s used anymore. And I was really okay with that. That’s the recipient’s call. I’m giving a gift. After passing her tests, Sheakley-Wright’s information was entered into the computer program used by the kidney-paired donor system, and the algorithm went to work on her data. It quickly found a match – Julie Parke, in Minnesota. Less than two months later, it was surgery day. SHEAKLEY-WRIGHT: My surgery was in Atlanta. First thing in the morning. And once they removed my kidney, it’s put in a styrofoam container and it’s put on a commercial flight and was flown to Minneapolis. LEISHMAN: Her kidney is actually put on a plane and flown to Minnesota, where it is transplanted into Julie. PARKE: I think I went in about four in the afternoon, something like that. LEISHMAN: Julie’s husband, the same day, is having his kidney recovered at a hospital in Minnesota. BOOK: It was a very emotional time. I told my kidney, “Go, do a good job and take care of somebody.” And I shed some tears. SHEAKLEY-WRIGHT: So Ray’s kidney at the same time that my kidney was flying from Atlanta to Minneapolis, his was flying from Minneapolis to Atlanta for the second recipient in the chain to receive her kidney. So Ray Book donated his kidney as a paired-donor so that his wife, Julie Parke, could get a kidney from a stranger, the non-directed donor, Jodi Sheakley-Wright. And who got Ray’s kidney? BOOK: We did find out that it was a woman who got my kidney, so. And she was in the next room, next to the woman who was donating to Julie. SHEAKLEY-WRIGHT: Now my recovery room in Atlanta was next door to Ray’s recipient’s recovery room. And I’m, you know, I had the respect enough not to barge in there and introduce myself; although I have to be honest, I really wanted to. All I know about her is that she’s doing well. That recipient had also come into the kidney exchange with someone willing to give her a kidney – but she wasn’t a match. LEISHMAN: So this person in Georgia who received Ray’s kidney, her daughter the same day went to the operating room and donated her kidney. And that kidney stayed right there in the same hospital and went to somebody on the deceased donor waitlist who didn’t have a living donor available to them. PARKE: Who donated out of the goodness of her heart. She didn’t even have anyone she was donating for. This one act had a multiplier effect. LEISHMAN: So what Jodi did by entering the program without a recipient attached to her—she was able to unlock matches that otherwise wouldn’t have been possible. It also wouldn’t have been possible without the algorithm created by Al Roth and his colleagues. LEISHMAN: It’s saving a lot of lives. We have about 600 kidney-paired donation transplants a year right now in the United States. In 2000 we had 2. We would have stayed doing 2 or 4 or 6 a year without the algorithm. SHEAKLEY-WRIGHT: The entire process is incredible. I don’t have that much knowledge about algorithms. It’s been a little while since high school and college so I’d have to revisit some of my math skills, but I do know that it’s amazingly complex and just to match blood types and antibodies. And especially knowing that at this time there are almost 124,000 people in need of an organ. So how somebody begins to sift through all that is beyond me. ROTH: This is about exchange. It’s called kidney exchange. There’s real exchange going on. So when I started talking to surgeons they didn’t automatically think of economists as fellow members of the helping profession. But when I talk about it nowadays, I say, “exchange.” That’s what economists study. Of course this is a subject for economists. But initially many people found it odd that economists were getting involved in organizing surgeries. DUBNER: You write in the book, or maybe hint in the book, that all this work that you and others have done to try to solve this problem, will hopefully be obviated one day not too long from now, when there’s either medical treatment, or perhaps artificial organs, yeah? DUBNER: And even more antediluvian, perhaps, would be the notion that you would have had to create this complicated way to get a living donor to match with a donor, yes? ROTH: So my hope is that stem-cell technologies will allow you to grow a new kidney the way you grew the ones you had originally. But we’re far from that now. And while that may eventually happen, everyone who has end-stage renal disease today, will be dead by that time. So our responsibility is to try to take care of the people who are sick today, even though there will be better ways to take care of them in the future. DUBNER: What’s it feel like to have played a role in helping redesign, I don’t know if you call this a market, it is a market, yes? ROTH: I call it a market. I mean, it’s not a market where money plays a role, but it’s exchange and you want to get efficient exchange. You want to get as many and as good quality transplants as you can, so absolutely it’s a market. DUBNER: So there are a bunch of people out there who are alive who would not have been alive had not you and others working with you done what you’ve done. What’s that feel like? ROTH: Well, many others. It feels good, but economics in general does good things for people. So I think that it may be an illusion to say, “Here we are saving lives. Isn’t that great?” And it is great, but imagine all the other good things that markets do. You know, the economy has been immensely productive. We all live much, much longer than people like us lived even a hundred years ago. And this has to do with the rapidly increasing prosperity that the world experiences because of the way markets work. So the big job of economists, of market designers, is to help that process along. It’s been going along for many, many centuries without the help of economists, but it goes by trial and error and maybe we can reduce some of the errors and make some of the trials go more quickly and more fruitfully. DUBNER: The last chapter in your book is called “Free Markets and Market Design.” Do you happen to have a copy with you? ROTH: I don’t but I remember it. DUBNER: I’m glad you do. I do have a copy. I’d like you to read then, if I may pass you the book, the first two, the first two paragraphs there. DUBNER: Okay, that’s great. So Al, you interested in continuing this conversation over a bit of dinner, then? ROTH: That sounds like a great idea. DUBNER: Okay, Al, you have any ideas for where we can go grab a bite then? ROTH: Well, we could go to California Avenue. There’s a thick market for restaurants there. DUBNER: We didn’t really get into that. What do you mean by a “thick market”? ROTH: Lots of restaurants and lots of people who like to eat at them. DUBNER: And thickness is good in a market because why? DUBNER: Did I? Did I? ROTH: Someone in your office made a reservation. But if we didn’t have a reservation, the advantage of thick market is we could just walk down California Avenue and open doors and say, “Do you have room for two guys at this hour?” And we’d eventually get to one. We went to a nice place in Palo Alto, on California Avenue, called Spalti. Northern Italian. DUBNER: Al, you interested in something to drink? ROTH: Uh, yeah—so we’re gonna split a half bottle of the Santa Margarita. DUBNER: We can order food as well. ROTH: I’ll have the salmon please. ROTH: So one of the things that could stop you from taking my kidney is that you might have antibodies, pre-formed antibodies against some of my proteins. So if you have antibodies against my proteins then your immune system is waiting to attack my proteins if they show up in my kidney, for instance. But mostly you shouldn’t have antibodies against human proteins that you don’t have. You have to be exposed to those proteins to develop antibodies. So the chance that, so if I didn’t know my blood type, the chance that you could take my kidney is somewhat over 50 percent. But the chance that my wife could take my kidney is only about 30 percent. And the reason is we’re parents, and in the course of childbirth, not pregnancy, but childbirth, my wife, my wife’s immune system might have been exposed to some of the proteins that our boys inherit from me. And if so, her immune system might have developed antibodies that would now be prepared to attack my kidney if it should appear. So for parents, husbands donating to wives is harder than other donations. DUBNER: And I assume that is just one of many strange, interesting, fascinating things you learn in your work about realms that you knew, right, nothing coming in? 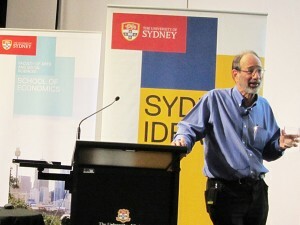 ROTH: Market design is an outward facing part of economics, which means that we’re always learning new things. Economics is about almost everything that people do, which means that the nice thing about being an economist is it means that we can learn things from almost anyone. And of course you have to learn a lot about kidney surgery to be able to help surgeons organize surgeries. You have to learn a lot about medical practice and education in order to help organize labor markets for doctors. You have to learn a lot about New York City’s schools to be able to help high schools do their admissions process. And that learning is a chain of its own, like the kidney-donor chain that Al Roth and others helped create, and which is saving lives. And as Al Roth and people like him continue to learn, they pass that knowledge along to people like you and me, making all of us a bit wiser, a bit more curious, a bit better off every day.